LifeNome’s unique genetic analysis capabilities have recently been integrated into Sequencing.com’s +RTP API and will be available for developers to use during the hackathon. This enhancement includes the ability to for the +RTP API to provide even more actionable information about each app user. This includes straightforward, genetically tailored information about nutrition, fitness, allergies, beauty and personality traits. You can compete with an existing app or you can create a new app. Existing apps can include your app, an app you have the right to modify or an open-source app. You may register as an individual or as part of a team composed of up to six people. The hackathon will kick-off with presentations on the +RTP API including guidance on technical implementation. The hackathon teams will then spend the next 24 hours integrating the +RTP API into existing or new apps. Apps can be coded in any language and can run on any platform including iOS, Android or web. This exciting competition will take place on February 24-25, 2018 at Microsoft's Offices in Times Square, New York City. We would also like to keep you informed about future hackathons. Additional information about Microsoft, LifeNome and Sequencing.com's Privacy Policies. This exciting competition will take place on February 24-25, 2018 at Microsoft's Offices in Times Square, New York City. Space is limited so register today if you are interested in competing. Can I compete with an app or code I already developed? Yes! While you can create an app from scratch, competitors are allowed to use existing apps, existing code and open-source code/apps. Must be willing to commit to all two days of the event (February 24 and 25, 2018). Apps can be developed for any platform including mobile (iOS or Android) or web. The +RTP API can also be used to power apps on any platform. Sequencing.com is the world's largest marketplace for DNA-powered apps and APIs. Our HIPAA and Privacy Shield compliant platform transforms genetic data into meaningful, actionable information. 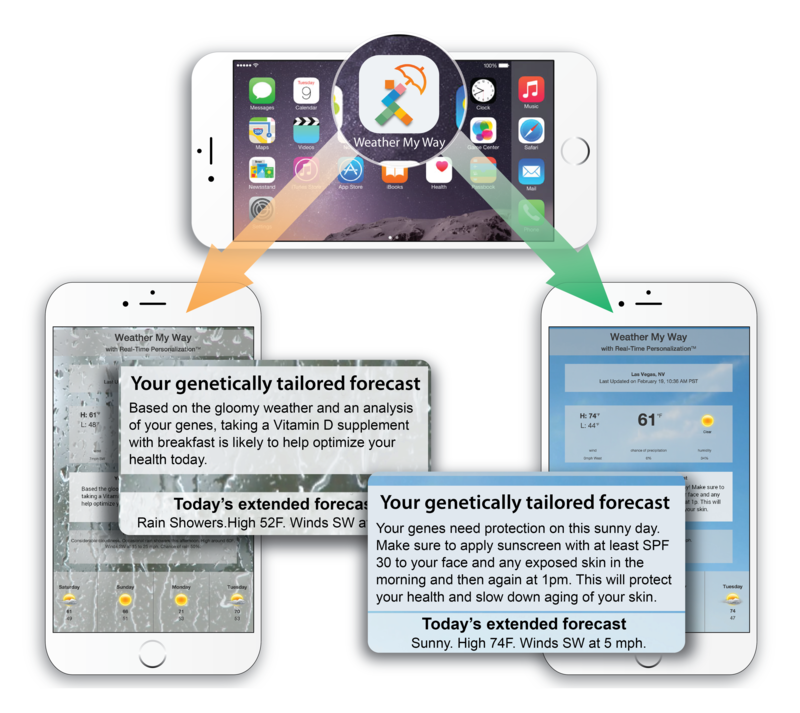 It's the world's first platform that provides Universal Genetic Data Compatibility, meaning our App Market and APIs operate seamlessly with genetic data produced by any laboratory or company. LifeNome is a revolutionary DNA-based wellness AI company with the aim of revolutionizing how individuals make personalized wellness decision. LifeNome offers precision wellness reports to individuals and API services for wellness companies and genetic testing providers. Each team will have 24 hours to add real-time personalization to a new or existing app. The app can be created in any language for any platform including iOS, Android or Web. Teams are allowed to use pre-existing apps, previously created codebases and open source code. Must be able to travel to New York City. Must be willing to commit to all two days of the event. A working knowledge of coding (Swift, Objective-C, Java, .NET/C#, Python, Perl, etc.) is necessary to be successful in this hackathon. There will be six judges, two from Sequencing.com, two from LifeNome and two from Microsoft.